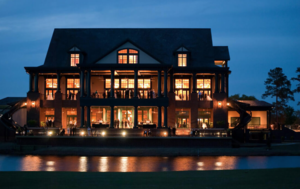 The Village at River Landing is a premier event venue located in Wallace, North Carolina. Whether you are looking to host your next company luncheon at the Mad Boar Renaissance Room, a formal charity gala at the ballroom in the River Landing Clubhouse, or a family reunion at the River Lodge, River Landing can accommodate any size group and any type of event. Our community was built on the value of under promising and over delivering, and this value shines through in every event our team produces. 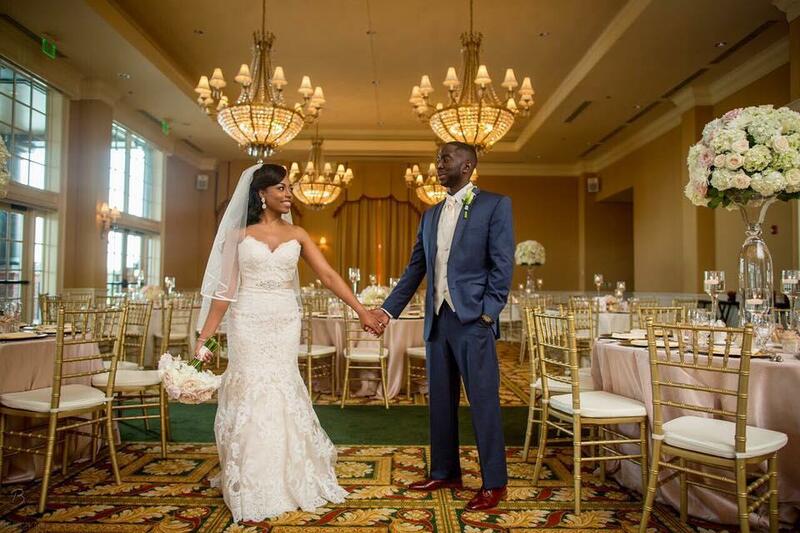 Not only will River Landing exceed your expectations, but your guests will be raving about you afterwards. 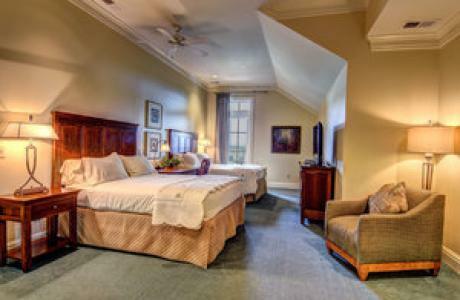 Be sure to ask about our onsite Wallace area accommodations available for your guests traveling from out of town too. At The Village at River Landing, you have so many options. 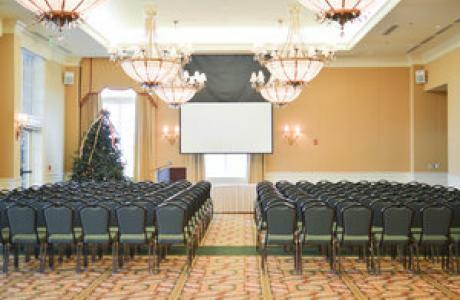 River Landing has a great variety of unique venues, each with their own special ambience and features. 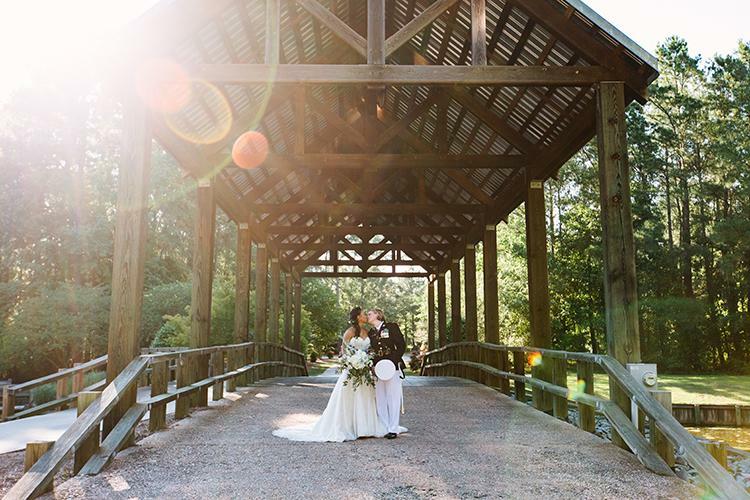 Speak with our professional event coordinator to discuss our most popular Wallace area venues or to locate a unique spot in our community. We’ll help you find a venue that will provide the perfect fit for your event. Whether your group is 10 or 1,000, we’ll make it special. For the most special gatherings with family and friends, and the most critical of corporate occasions, there is no venue in the Southeast that can compare to the southern hospitality and charm of The Village at River Landing. It’s the vast, stunning views from our event venues. It’s the fine cuisine prepared by our own Executive Chef. It’s our local Wallace area team of professionals who specialize in bringing your corporate event to reality so you can relax and enjoy every moment. And you’ll be pleasantly surprised by the affordability. At River Landing, your company has a variety of options to host any type of corporate event including appreciation luncheons, business meetings, company retreats, training sessions, holiday parties, VIP galas, and more. Whether your group is 10 or 1,000, our team will execute a top-notch event that will make you look good, keep the stress level down, and stay within your budget. Perhaps it is the perfectly manicured lawn, the towering oak trees, or the peacefully flowing Cape Fear River, but from the moment you drive through the gates at The Village at River Landing, everything feels infused with magic. Combine our lush and serene setting with award-winning, on-site accommodations, top-notch event staff, and fine cuisine paired by our Executive Chef, and you have the makings of a perfect weekend. Our southern hospitality and charm is beyond compare, and we look forward to bringing your vision to life. The Village at River Landing in beautiful Wallace, NC has on-site food and beverage services to take the worry away from your event. Our expert culinary and banquet teams will deliver you great taste and excellent service, with attention to detail. We have options for everything from plated events to full buffets, specialty stations, and more with bar services including top shelf and premium beer options. 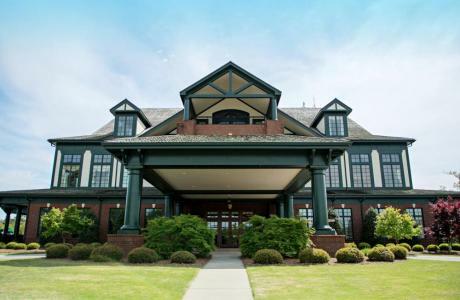 The Village at River Landing provides free golf for all attendees. Free Coffee Breaks & Room Rentals are also available when food and beverage minimums are met We have great, all-inclusive CMP packages available as well! Exclusivity All food and beverage items must be purchased exclusively from The Village at River Landing Catering. Exceptions include wedding cakes. The Fitness Center Guest access to the River Landing Fitness Center is not permitted other than during the time frames of your event and is limited to the restrooms and the Member’s Room. Breakable glassware and china are not permitted on the swimming pool deck. Decorations are not permitted in the pool. Swimming is expressly prohibited. The River Landing companies are not liable for injuries or damages suffered by persons attending your event, whatever the cause, unless the same results directly from the gross negligence or intentional act of a The Village at River Landing employee. Golf Course Attire Proper golf attire is required for all golfers and is defined as: shirts or blouses with collars, golf or walking shorts, slacks, and skirts (for women), and appropriate golf shoes or athletic shoes. The following includes but is not limited to attire that is not acceptable: t-shirts, tank tops, blue jeans, cut-off shorts, sweat pants, other athletic pants/shorts, bathing suits, and cover ups. Other items that are deemed inappropriate by club management are not permitted. Golf Cart Policy A maximum of three golf carts may be used free of charge subject to availability. All drivers of golf carts must sign a golf cart release form. All golf carts may only be driven on appropriate main streets. Golf carts may not be driven after dark and must be returned to the cart barn at the clubhouse by sunset. Must have valid driver’s license to drive a cart. Music/Entertainment The Village at River Landing reserves the right to regulate the volume of musical entertainment at your event. The Village at River Landing facilities adhere to the Duplin County noise ordinance which is enacted at 11:00pm. Decorations Event decorations are not permitted to damage, leave permanent marks, or holes in any part of The Village at River Landing. If you choose to use candles for any part of your decorations, they need to be contained in a non-flammable vessel. 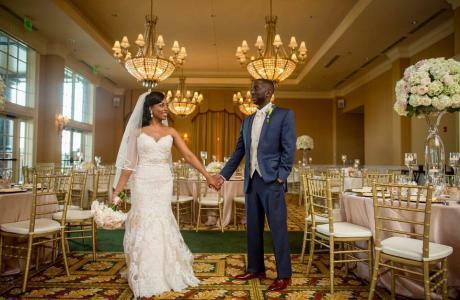 Aisle runners are not permitted to be taped, glued, or fastened to the carpet, flooring, or stage of River Landing, and/or the River Lodge concrete flooring. Throwing rice, glitter, potpourri, artificial flower petals, confetti, or using “silly string” are prohibited due to River Landing’s commitment to the environment. Birdseed, bubbles, and biodegradable materials are acceptable alternatives with prior approval from your Catering Sales Manager, but the use thereof may result in the imposition of a special clean-up charge of $150.00. Confetti or glitter of any kind is not permitted inside any River Landing facility as a decoration or otherwise. Fireworks The use of fireworks requires advance approval from management which should be obtained through your Catering Sales Manager. All fireworks and pyrotechnic displays must be performed by professional, insured technicians. Duplin County Fire Department will need to be on site for any incidentals. A clean up fee of $500.00 will be assessed if the grounds are not thoroughly cleaned at the conclusion of the event. Vendors The Village at River Landing reserves the right to approve all vendors for your event. We will be happy to provide a list of our preferred vendors. Your Catering Sales Manager will need to provide you with an approved time for your vendors to access our facilities. Storage Should you need to ship or drop off wedding materials or décor for your event; those will be accepted up to one week prior to your event. All items and decorations must be removed immediately following the conclusion of your event. The Village at River Landing does not assume responsibility for the damage or loss of items stored, displayed, or left on property. Beverage Service The Village at River Landing abides by regulations enforced by the NC Alcoholic Beverage Commission and local county ordinances. As the licensee we are responsible for the purchase, sale, and service of alcoholic beverages. We reserve the right to refuse service to intoxicated or underage persons. Alcoholic beverages are not permitted to be brought in to our facilities for consumption. Alcoholic beverages are not permitted to be removed from the facilities. Shots, shooters, and martinis will not be served at private events. Food Service Buffets will not remain open for longer than a two hour period. 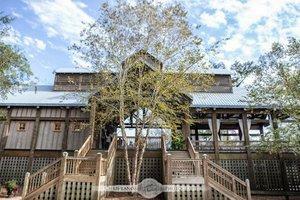 The Village at River Landing can accommodate parties of less than twenty (20) people using the a la carte menu. Parties of 20-30 people may order from either the events menu or a limited selection of the restaurant menu which can include up to two appetizers, three entrees with the same side dish selections, and one dessert. 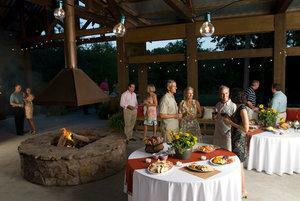 Parties of 30 or more are required to make their food selections from the catering menu. Venue Access For afternoon and evening events, The Village at River Landing allows access to our facilities no earlier than 11:00am with approval from the Banquet Manager. However, staffing and set up are not guaranteed until two hours prior to your event. Ceremony Rehearsal The Village at River Landing will provide your ceremony location, when available, free of charge to rehearse your wedding ceremony. However, it is not guaranteed and may be rented by other guests. If you would like to ensure that the space will be available to you at your requested time, you may rent the space at the listed room fee and food and beverage requirement. Fire place The lodge fire place may used at the listed fee. However, no food may be heated or cooked using the flames from the gas burning fire place. Only The Village at River Landing banquet personnel may turn the fire place on and off. Guarantees on Food and Beverage Fourteen (14) days prior to event date 100% of estimated food and beverage is due, along with the signed banquet event order with final food and beverage selections/quantities and attendee counts. The Village at River Landing Catering and all associated entities will use the tentative number specified on this contract, as the guaranteed figure if a guarantee is not submitted when due. Food and beverage selections may be amended before fourteen (14) days prior to the event. However, if the dollar value of the food and beverage selections falls below the discount threshold, additional room charges may apply. If the attendance number increases by more than 5% within three (3) days prior to the event date, The Village at River Landing Catering will not be responsible or liable for serving any additional guests, but will do so based on availability of the product. The Village at River Landing management reserves the right to substitute comparable food or products to accommodate the extra guests. Any adjustments or additions to the contracted event services will be reflected in the final invoice, payable at the conclusion of the event. Final charges will be based on the guaranteed number or the number of meals served, whichever is greater. In the event of over-payment, The Village at River Landing catering will remit the balance within seven (7) days. Payment Cash, check, and most major credit cards are accepted as payment. If final payment is being made by check it must be received fourteen (14) business days prior to the scheduled event. Food and Beverage Requirements All food and beverage must be provided and served by River Landing. Food and beverage is not permitted to be removed from The Village at River Landing’s banquet area. Pricing Prices are subject to change but remain effective once contract is signed. Tax and Service Charge A 22% service charge and local and state tax is applied to all food, beverage, room rental, and audio visual charges. Hold Harmless The guest or organization assumes the entire responsibility and liability for losses, damages and claims arriving out of injury or damage to the organization’s displays, equipment and other property brought upon the premises of the Village at River Landing and should indemnify and hold harmless the Village at River Landing, agents, and employees from any and all such losses, damages, and claims. Unattended Items/Additional Security Routine security services are provided by The Village at River Landing. However, the guest or organization will be responsible for ordering and paying for any additional security required by the organization to protect merchandise or to monitor attendance of an event. In the event that additional security is deemed necessary to protect any of The Village at River Landing entities as a result of this event, arrangements will be made by the The Village at River Landing and charged to the organization or guest. The Clubhouse	 The Clubhouse at River Landing is a state-of-the-art banquet facility, offering a Grand Ballroom with seating for 350, an expansive terrace, charming verandas, and panoramic views of our lush landscape. For more exclusive gatherings, the Murphy Boardroom, Magnolia Room, River Room and Lakeview Room are elegantly appointed and adaptable to your needs. When a casual space is needed, our Berkshire Grille is comfortable and inviting. 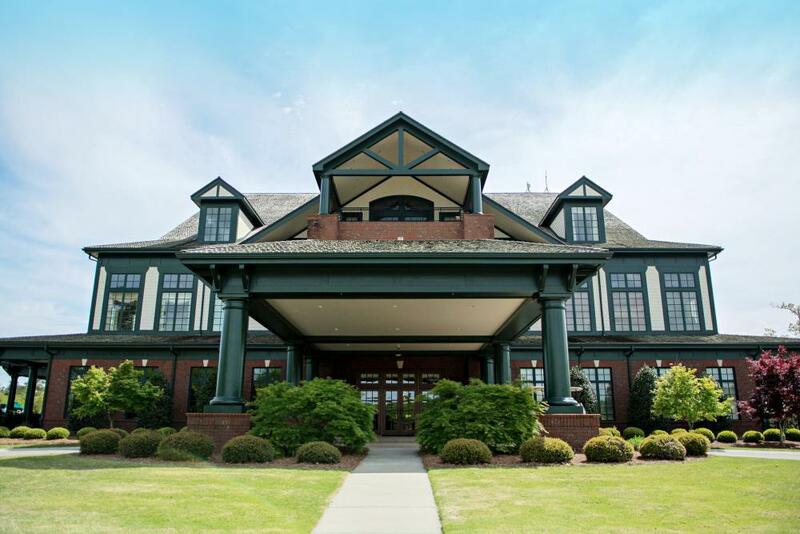 Surrounded by sparkling lakes, perfectly manicured golf courses, and ancient river oaks, the Clubhouse at River Landing is an elegant and comfortable venue for your next event. The River Lodge	 The waterfront River Lodge, nestled on a bend of the Northeast Cape Fear River, is a great casual and rustic outdoor space, outfitted with a serving kitchen, changing rooms, a fire pit, and a sandy beach. Its relaxed location is ideal for festive cocktail parties, southern barbecues, and oyster roasts. 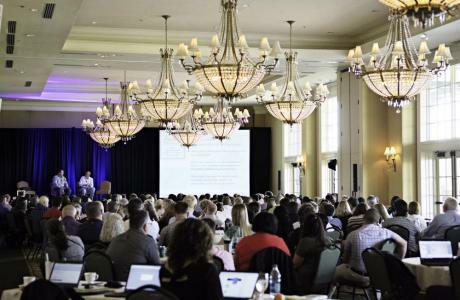 Daytime luncheons become special events among the tall trees and scenic waterfront. When the sun goes down and the fire pit glows, the natural setting truly shines. The Full River Lodge seats 120 guests, with 70 - 80 covered by the roof and 20 - 50 on the lower decks. Poolside at River Landing	 As the centerpiece of our state-of-the-art fitness center, the swimming pool and surrounding terraces are the ideal location to host a casual barbecue, employee appreciation event, team building event, or casual quarterly meeting. The fully equipped outdoor kitchen area creates a laid-back atmosphere perfect for any type of meal. 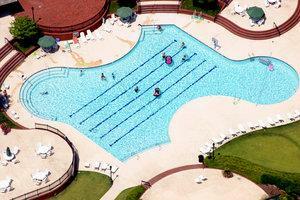 The poolside area seats up to 300 guests and the adjacent Member Room seats between 100 and 150 guests. Mad Boar	 Just outside the gates to River Landing lies The Mad Boar Restaurant, a distinguished and versatile space for all types of meetings and events. The food is excellent and the meeting spaces within the Mad Boar are equally impressive. 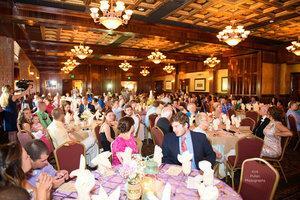 For larger events, the Celtic Court features rich decor, stunning chandeliers, and seating for up to 300. 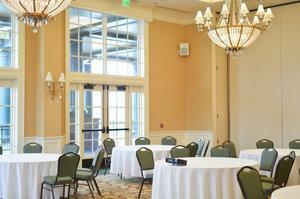 For smaller meetings, the Mead Room and Renaissance Room are sophisticated yet comfortable. For casual events and after-hours fun, Murphy’s Irish Pub will make you feel welcome from the moment you arrive. The Full Celtic Court seats up to 225 guests. The Half Celtic Court seats up to 125 guests. The Renaissance Room seats between 50 and 60 guests. The Meade Room seats between 20 and 30 guests, and the Meade Room with Meade hall seats up to 60 guests.